Posted: June 7, 2018 11:45 a.m.
Former Regina Pats star and University of Regina alumnus Brad Hornung will receive an honorary degree from his alma mater on June 8. It was March 1, 1987. Brad Hornung was 18 and playing for the Regina Pats of the Western Hockey League when his dream of a professional career came to a sudden end. He suffered a severe spinal cord injury during a game and was left a quadriplegic. Despite this devastating setback, he graduated from O’Neill High School and received his Bachelor of Arts degree in History from Campion College at the University of Regina in 1996. Hornung also took several courses in the Faculty of Business Administration until his graduation from Campion College. Throughout his studies, he stayed connected to the game he loves, working for several years as a scout for the Chicago Black Hawks of the National Hockey League. He now scouts for the NHL’s Central Scouting Bureau, and attends every Regina Pats home game, identifying and assessing junior players aspiring to move into the pro ranks. The Western Hockey League annually recognizes Hornung by awarding the Brad Hornung Trophy to the player who best epitomizes a combination of talent, desire, and sportsmanship. The Regina Pats have honoured Hornung by retiring his #8 jersey; it hangs in the Brandt Centre above the location where he watches and analyzes players for his scouting reports. 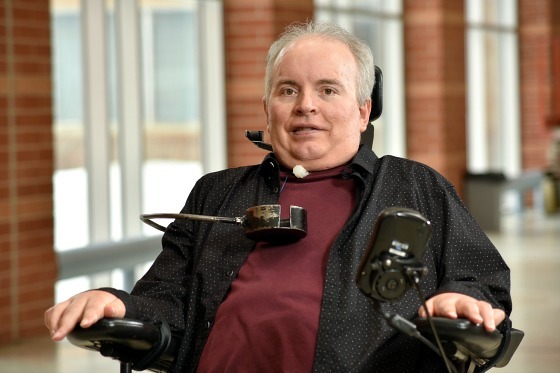 The University of Regina is proud to confer upon Brad Hornung an honorary Doctor of Laws degree in recognition of his courage and perseverance in facing adversity. In the “it’s a small world” category, Hornung played hockey against Sheldon Kennedy, who received an honorary degree at the June 6 Convocation. The two were briefly teammates and roommates playing for Team West, representing Western Canada in an under-17 international tournament.